Coastal Explorations is an outdoor touring company dedicated to providing adventure, education and entertainment fueled by the resources in our own backyard – The Outer Banks of North Carolina. Whether it’s your first time in Corolla or you’ve been coming down for years, we think you’ll enjoy your time exploring with us! Join us on a guided tour of the sound! Discover the hidden nooks of the sound with a guide. Bring the whole family! Already know the technique and area and want to explore without a guide? Rent from our dock and avoid the hassle of transporting equipment. For newbies or experienced paddlers. This tour starts with a lesson in technique and includes a tour through calm waters. Want to keep your kayak or SUP for the week? 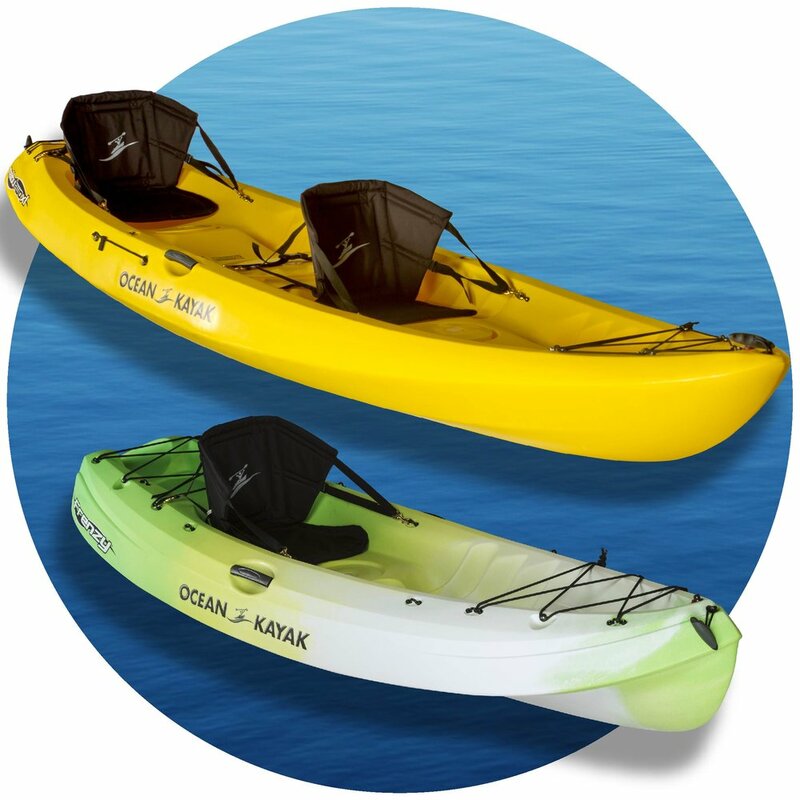 Rent our equipment to paddle on the ocean or on the sound. We even offer free delivery on the weekends. For small groups of up to 6 people. Crabbing charters and sunset cruises with our experienced captain. Use our bikes to explore Corolla or to cruise to the beach with ease. All our bikes are unisex with adjustable seats. Coastal Explorations has partnered with Corolla Parasail to offer another safe and family friendly activity on the sound. In addition to their location in Tim Buck II, Corolla Parasail is now leading regular trips from our dock. Don't miss out on this exciting activity!